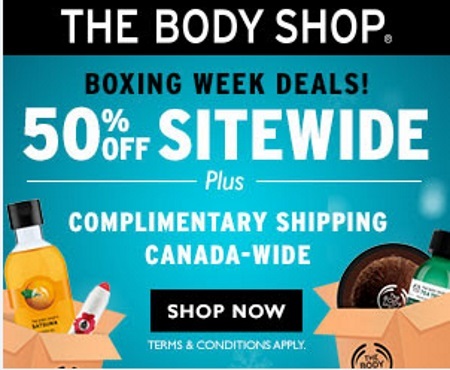 The Body Shop has their Boxing Week Deals on now! Get 50% off sitewide plus complimentary shipping Canada-wide. 50% off select skincare, 50% off makeup, 50% off select haircare, 50% off select bath & body care. Free gift with any $75+ purchase (up to $22 value). Offers are valid December 23-28, 2016.